국정원 북한이탈주민센터에 머물고 있는 탈북 해외식당 여성 종업원 12명에 대한 ‘인신보호 구제심사’ 사건이 외신의 주목을 받고 있다. 북한 해외식당 여종업원 탈북은 기획탈북이란 의심이 꾸준히 제기돼 왔고 이에 ‘민주사회를위한변호사모임'(민변)이 구제를 청구한 것이다. 이 사건에 대해 영국 BBC는 여종업원의 탈북이 북한 노동자대회 직전에 이뤄졌음에 주목한다. 즉, 남한 측이 노동자 대회 의미를 반감시켜 김정은이 제대로 스포트라이트를 받기 위해 기획한 것 아니냐는 지적이다. 이에 대해 국정원은 해외식당 여종업원들이 자진 탈북했다는 입장을 고수한다. 그러나 이들의 신병을 붙잡아두고 있고 그래서 민변이 나선 것이다. BBC도 이 사건이 주목받는 데 대해 정치적 의도가 있음을 시사한다. 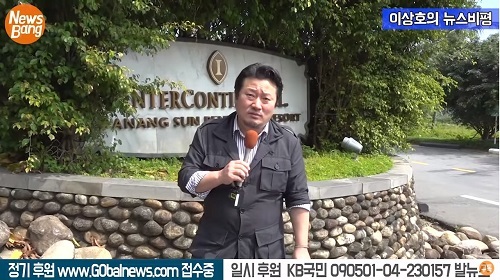 ▲ The families and colleagues of the 12 North Korean waitresses spoke to media.12명의 북한 여성종업원 가족과 동료들이 언론에 말하고 있다. A South Korean court has held a rare hearing into the detention of 12 North Koreans who defected to the South. 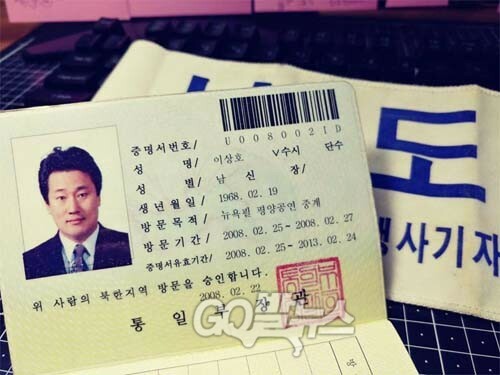 한국의 한 법원이 한국에 입국한 탈북자 12명의 구류에 대한 이례적인 심리를 열었다. A group of human rights lawyers who requested the hearing want to determine whether South Korea’s continuing detention of the women is legal. 이번 심리를 청구한 인권변호사 단체는 한국 정부가 이 여성들을 계속해서 구류하는 것이 타당한지 결정하기를 원한다. 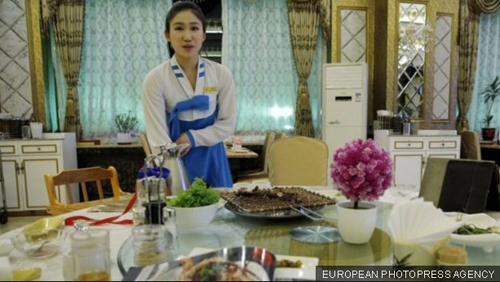 The women, who worked as waitresses at a North Korea-run restaurant in China, arrived in Seoul in April. 중국 내 북한이 운영하는 식당에서 종업원으로 일하던 이 여성들은 지난 4월 서울에 도착했다. 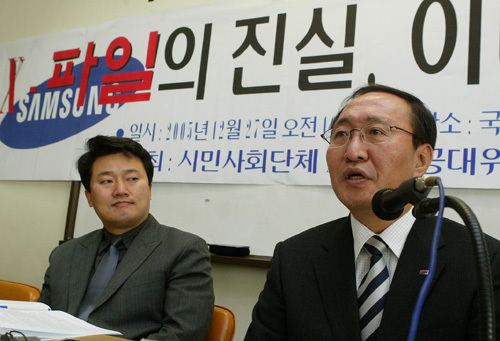 Seoul says they came of their own free will, while Pyongyang maintains they were abducted. 한국 정부는 그들이 자발적 의사로 입국했다고 밝혔지만 평양은 계속해서 그들이 납치되었다고 주장한다. 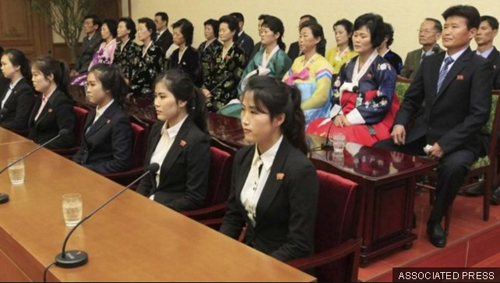 The women were not present at the hearing, with South Korea’s spy agency saying the women did not wish to testify for fear of endangering their families. 여성들은 심리에 출석하지 않았고 국정원은 이들의 가족들이 위험에 빠질 수 있다는 두려움에 증원을 원치 않는다고 말했다. However, the rights lawyers said the case could not proceed without the women present, and demanded that the judge be replaced. The case has been adjourned while the court considers the lawyers’ request. 하지만 인권변호사들은 이 여성들의 출석 없이는 재판이 진행될 수 없다며 재판부 교체를 요구했다. 법원이 변호사들의 요청을 고려하는 동안 이 재판은 연기되었다. The hearing could set a precedent for how South Korea deals with the hundreds of defectors it receives every year. 이번 심리는 한국 정부가 매년 발생하는 수백 명의 탈북자들을 상대하는 방법에 대한 전례가 될 수 있다. The BBC’s Stephen Evans in Seoul explains more about the case. 서울에 있는 BBC의 스티븐 에반스가 더 자세하게 설명하겠다. What have the women said? We haven’t heard from them. These particular defectors have not spoken in public and the South Korean government has indicated that they don’t want to. 우리는 그들에게서 들은 적이 없다. 이 특정 탈북자들은 공개적으로 말한 적이 없으며 한국 정부는 그들이 발언하고 싶지 않아 한다고 밝혀왔다. If that’s true, it may be because of fears of repercussions on their families in the North, or because they simply don’t want a public life. 그것이 사실이라면, 북에 남아있는 가족들에게 나쁜 영향이 가지 않을까 하는 두려움 때문이거나 단순히 대중 앞에 서는 것을 싫어해서일지 모른다. ▲ North Korea runs restaurants mainly in China as a way to earn foreign cash북한은 외화벌이를 위해 주로 중국에서 식당을 운영한다. Some of their relatives and friends in the North have given interviews. 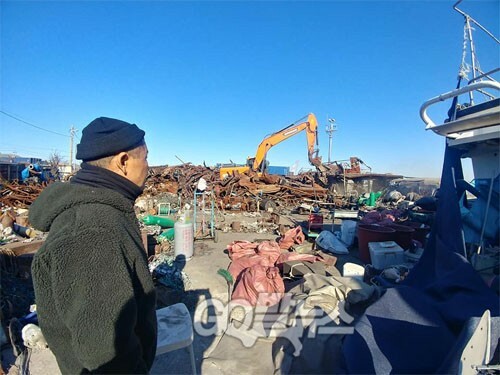 According to the Associated Press news agency which has a bureau in Pyongyang, Ri Gum-suk, the mother of one of the workers, So Kyong-ah, said all the parents were heartbroken. 북에 있는 그들의 친척과 친구 중 몇몇은 인터뷰를 했다. 평양에 지국을 둔 AP 통신에 의하면 식당의 종업원 중 한 명인 소경아의 어머니 리금숙은 종업원들의 모든 부모가 깊은 슬픔에 잠겨있다고 말했다. 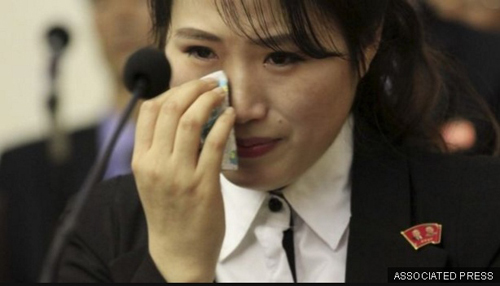 Her husband, So Thae-song told AP: “They say our children defected, making their own free decision, but then why don’t they put our children in front of us parents? I want to hear the words from my lovely daughter. Why don’t they let her meet us? They say they defected willingly as a group. I can’t accept this”. 그녀의 남편인 소태송은 AP통신에 “그들은 우리 아이들이 자발적으로 결정해 탈북했다고 말하지만 그렇다면 왜 그들은 우리의 아이들을 우리 부모 앞에 서지 못하게 하나? 나는 나의 사랑스러운 딸로부터 직접 듣고 싶다. 왜 그들은 우리 딸이 우리를 만나지 못하게 하나? 그들은 그들이 집단으로 고의 탈북을 했다고 말하지만 나는 이것을 받아들일 수 없다”고 말했다. 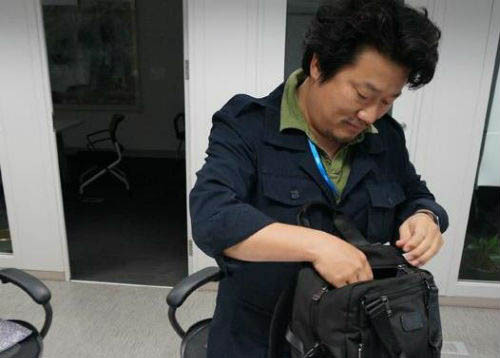 The news agency said the interviews were unforced though the interviewees may well have been rehearsed by the authorities in Pyongyang. 그 뉴스 통신은 인터뷰는 강제된 것이 아니나 인터뷰 전에 북한 정부와 미리 연습했을 가능성이 있다고 했다. Is it unusual for the South to detain defectors? 한국이 탈북자를 가두는 것이 이례적인 일인가? The usual procedure when North Koreans defect to the South is for them to be accommodated in special centres. 북한 사람들이 한국으로 탈북했을 때 일반적인 절차는 특별한 기관에 수용되는 것이다. ▲ Families and colleagues of the 12 women say they don’t believe they would willingly defect12명의 여성의 동료와 가족들은 그들이 고의적으로 탈북할 리 없다고 말한다. They are questioned by the intelligence service to ascertain whether they are spies, and they are also given courses in how to negotiate life in South Korea – how to get a job, how to use a bank account, etc. 그들은 간첩이 아닌지 가려내기 위해 국정원의 심문을 받는다. 또한 그들은 한국에서 살아가기 위해 구직은 어떻게 할지, 은행 계좌 사용 등에 대해 배우는 수업을 듣게 된다. Many North Korean defectors find the transition hard. Suicide rates among defectors are higher than among the general population. 많은 탈북자 이 전환기를 힘들어한다. 탈북자의 자살률은 한국 평균의 자살률보다 높다. Who are the lawyers and why have they brought this case? 이 변호사들은 어떤 사람들이며 왜 이 소송을 제기했는가? 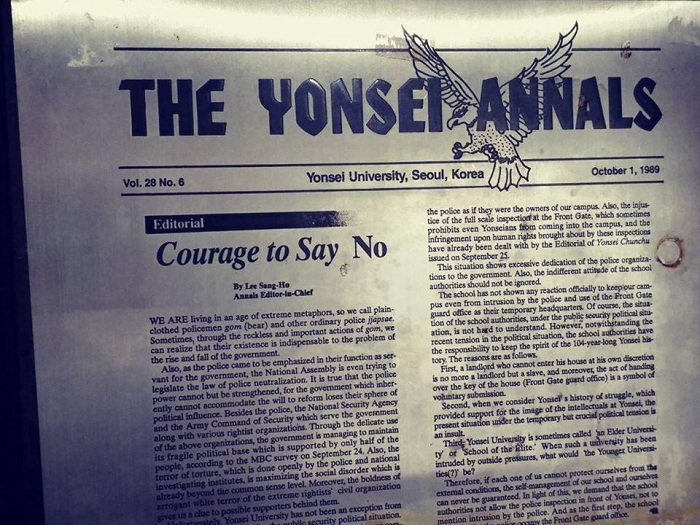 The group, Lawyers for a Democratic Society, says it “strives to further the development of democracy in Korea through litigation, research, and investigation”. 민주사회를 위한 변호사 모임은 “소송, 연구, 조사를 통해 한국의 민주주의 발전을 위해 노력한다”고 말한다. It says it is “dedicated to increasing public awareness and collaborating in joint activities to protect basic human rights and attain social justice”. It has more than 900 members who are prominent lawyers. 이들은 “기본적 인권을 보호하고 사회정의를 이루기 위한 대중의 인식 고취와 공동 활동에서의 연대에 전념”하며, 900명이 넘는 유능한 변호사들이 회원으로 가입해 있다. ▲ The South made the announcement of the defectors right around the time North Korea held its rare and highly publicised Worker’s Party congress북한이 오랜만에 널리 알려진 노동당대회를 개최하는 시기에 남한은 탈북자 소식을 발표했다. It is fair to say that they are not naturally sympathetic to the current right-of-centre government but their prime concern is the protection of democratic rights. 그들이 현재의 중도 우파 정부에 우호적이지 않다고 말할 수 있지만, 그들이 주로 우려하는 것은 민주적인 권리의 보호이다. Local media reports said the group of lawyers obtained power-of-attorney from the defectors’ families in the North for the hearing. 현지 언론들은 이 변호사 그룹이 탈북자 가족들로부터 심리를 위한 위임장을 받았다고 보도했다. Why has this defection attracted so much attention? 왜 이 탈북 사건이 많은 주목을 받았나? 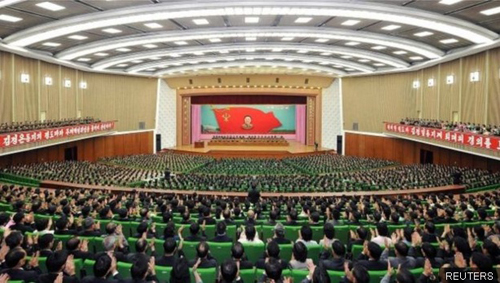 About a thousand people defect every year from North Korea. The number has fallen in recent years as the North’s economy has improved. 대략 1000명이 매년 북한을 탈출한다. 북한의 경제가 나아지면서 최근 이 숫자는 줄어들고 있다. Most get over the porous border with China and the indications are that the Chinese authorities are more lenient than they used to be. 이들은 대부분 허점이 많은 중국 국경을 넘는데, 중국 당국은 이전보다 더 관대해진 것으로 보인다. These waitresses had visas to be in China because they were working openly there, so the usual argument of the Beijing authorities – that they should simply be returned to North Korea as illegal migrants – didn’t hold. 이 종업원들은 중국에서 공식적으로 근무 중이었기 때문에 중국 비자를 소지하고 있었다. 따라서 중국 정부가 흔히 말하는 불법 체류자들은 본국으로 돌아가야 한다는 주장은 이 경우엔 맞지 않는다. The announcement of the mass defection was made by South Korea just before the high-publicity congress in Pyongyang last month. 이 대규모 탈북 소식은 지난달 북한이 대대적인 노동자대회를 개최하기 직전에 남한 정부로부터 전해졌다. There were accusations that it was designed to detract from the publicity North Korean leader Kim Jong-un was getting at the time, but the Southern authorities have denied that. 이 사건이 북한 지도자 김정은이 지나친 주목을 받지 못하게 하려고 기획되었다는 비난이 있지만, 남한 당국은 이를 부인해왔다.